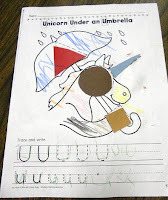 We have started letters with curves in the Pre-K class. 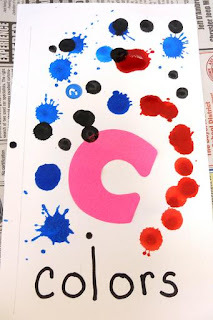 Our first curved letter was U, and this week we are doing C. I know, I'm naive, but I was surprised at the difficulty some of the children are having. 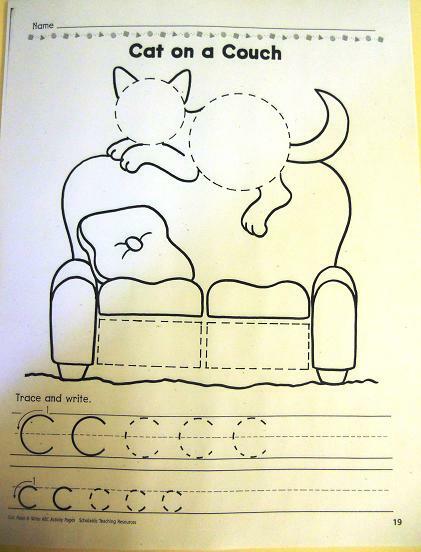 Everything seems to end up like an O. They are really doing very well though overall. 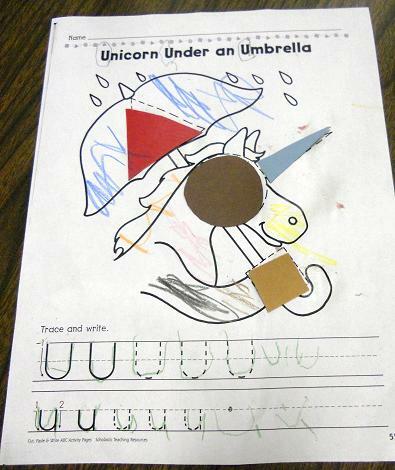 For the letter U, the children's page was a Unicorn under and umbrella. We then made an umbrella. 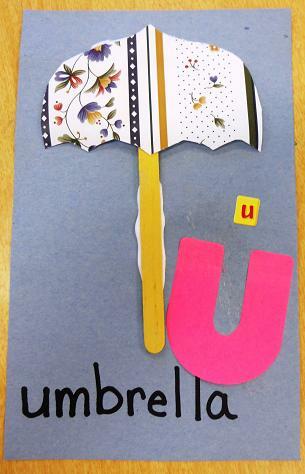 I had cut umbrella shapes out of wallpaper. 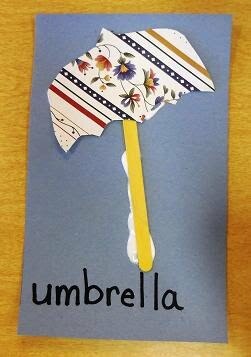 The children glued a popsicle stick for the umbrella's handle than added the umbrella shape. Finally, they glued on the upper and lower case U. 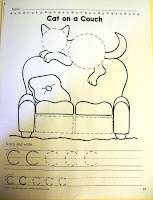 This week we were working on letter C. Our page was a Cat on a couch. 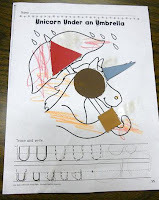 I had a bit of trouble coming up with a fun letter activity. I was thinking of using cat or car, but I couldn't think of anything fun the kids could do. 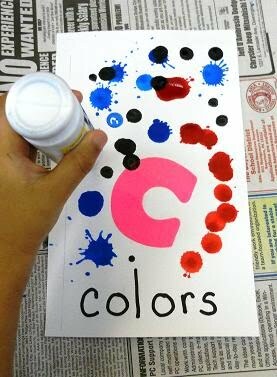 I came up with the word COLORS. I then had dot paint. The children put a capital C and lower case c on their paper. Then I let them use the dot paint to add some "color." 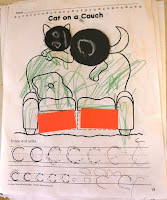 Our last letter for this year will be O. Can you believe that? 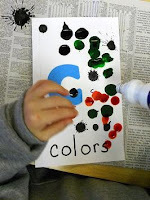 We have two weeks of school left for the 2011 school year. 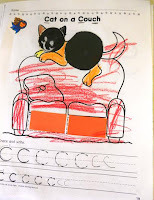 We will be doing a letter next week, but concentrating on Christmas finishes the last week.